All DVRA coaches MUST have completed the Respect in Sports program. Please contact Shelley Ostertag with any questions about this program. Any coaches that still need to complete a CSI clinic, please visit the Ringette Alberta websiteto view availability. Check back often because availability changes & new clinics open. For the U16 and U19 stages a series of drills and progressions have been developed as a tool to build your own practices based on the athletesâ€™ specifics needs. 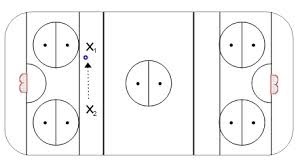 These practice plans may also be accessed under the Tools section of the Ringette Canada Coaching Website. http://www.coachingringette.ca . Be sure to create a free user name and password to access additional coaching resources. This managerial "course" has been designed specifically for those who may not wish to coach, yet wish to contribute and be involved in a team"s organization. The information contained in the Managers Certification is valuable and beneficial for any individual in the "team sport" setting. It is highly recommended that those people who are currently in a coaching role obtain this manual to help increase their knowledge in the area of team administration. This program is intended to prepare an individual for a managerial or an administrative position on any Ringette team.